The one day a year we all get to pretend we’re Irish. We eat fish and chips or Guinness beef stew and pinch those who forget to wear green. The beer is flowing green, the Chicago River turns green, and so do the faces of party-goers the next morning. Clearly, this is how the patron saint of Ireland would like his death to be commemorated–like an Irish wake! I’ve mentioned that I lived in Northern Ireland for a year. I volunteered with an amazing organization called the Corrymeela Community. This is an organization that provides space for “embracing difference, healing division, [and] enabling reconciliation.” It was founded by Ray Davey, who served in World War II as a chaplain. He ministered to his fellow soldiers even through being held captive. He was given the opportunity by his captors to go home since he was non-combative, but he stayed. Davey was driven by the need he saw for individuals to have a space to talk and heal. After the war he and a bunch like-minded individuals pulled their money to buy an old property on the northern coast outside Ballycastle. College students spent weekends and summers renovating the property to be able to host groups. The story goes that volunteers had to make their own bed when they came–not with sheets and blankets, but with nails and boards of wood! Around the same time, The Troubles broke out in Northern Ireland, and Corrymeela became a safe place for folks to meet, talk, and learn. The story goes that one weekend two groups from opposite communities were coming up to Corrymeela. Couples and individuals were arriving on Friday night and sitting down with pots of tea as they waited for the program to begin. A woman sitting at a table offers a cup of tea to a man who has just entered the main house. The two start chatting without knowing who the other was. They are getting along great and eventually realize where the other was from. She was the wife of a paramilitary member who had been killed by the police. He was a police officer from the same city. Had they met on the streets back home, they would have disliked each other immediately. (Disliked is probably an understatement.) But sitting there, away from the mess, with cups of tea, they could meet as two people who had both experienced suffering. This was my most important lesson as a long-term volunteer at Corrymeela. There are simple things that can bring people together. At Corrymeela we used tea, meals, team-building games, arts, trips to the beach, trips to the pub, and much more. But my favorite of all of these were the welcome scones. All groups were welcomed with tea and biscuits when they arrived, but special groups got tea and scones. These scones would be baked in advance, spread with butter and jam, and hidden from volunteers that were all too interested in taste-testing. This recipe was adapted from the recipe Corrymeela used. These aren’t the scones you get at Starbucks. They aren’t super sweet. In fact, there isn’t any sugar in them at all. Without the appropriate amount of butter and jam, you might not even thing they taste like much. Which is why I highly recommend quality butter and jam be used here. 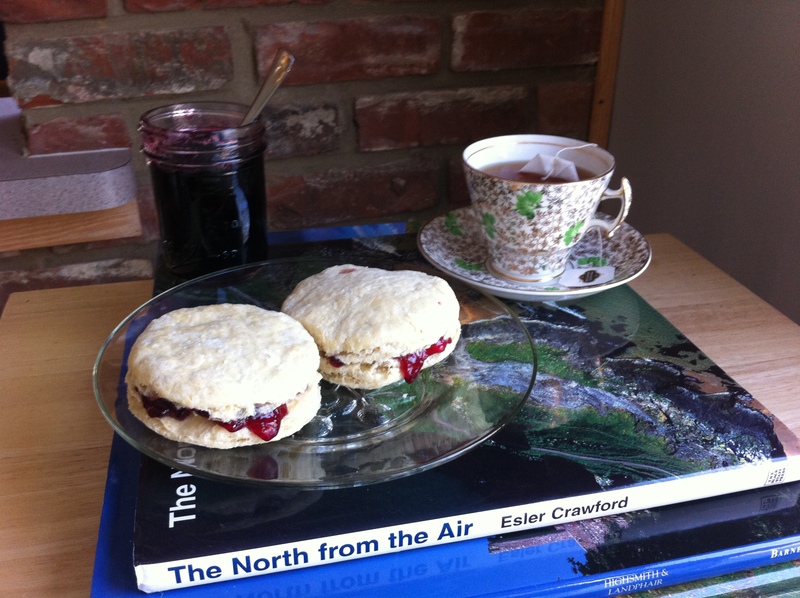 I broke out my last jar of blueberry jam from the farmers’ market for these scones. I splurged and bought Irish butter just for these scones, too. Irish butter doesn’t look much different from American butter, the ingredients list is the same, and the nutrition facts are almost the same (Irish butter has 10% Vitamin A instead of only a measly 8%!) Don’t feel like you need to go out and buy Irish butter just for this. Normal butter will work just fine. But isn’t it pretty! 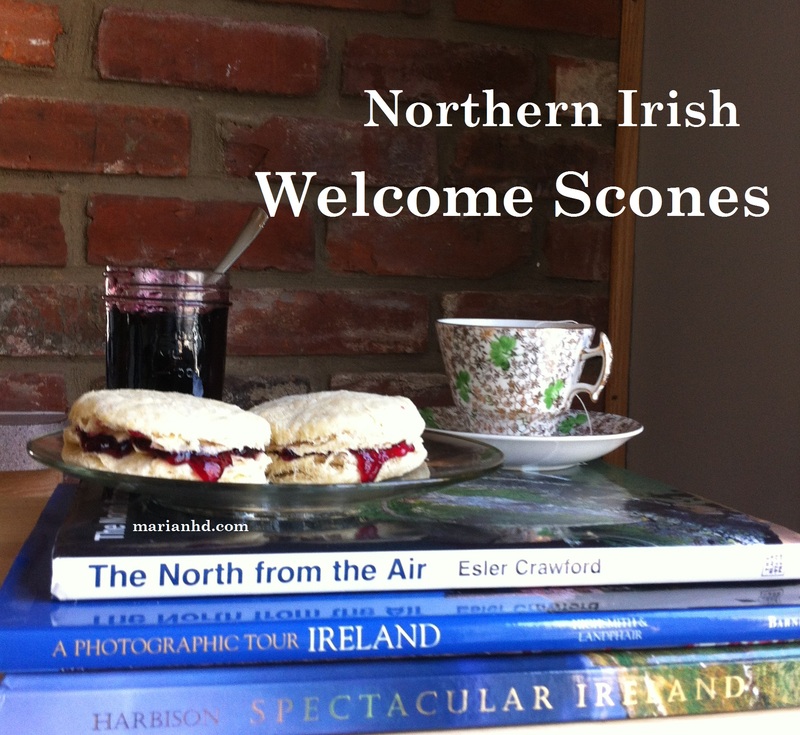 For other delicious (but less Irish) scone options, check out my Chocolate Chip Pumpkin Scones, Vegan Avocado Scones, and Strawberry Scones. Maybe someone’s a little obsessed with scones, eh? 1. Preheat the oven to 425 degrees. 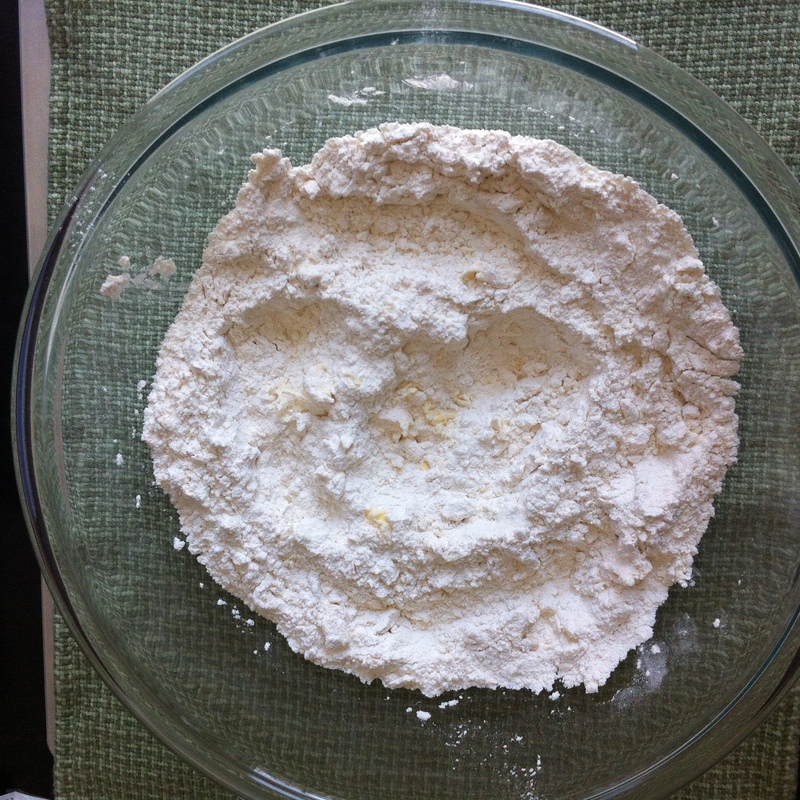 Combine the flour, cream of tartar, baking soda, and salt in a large bowl. 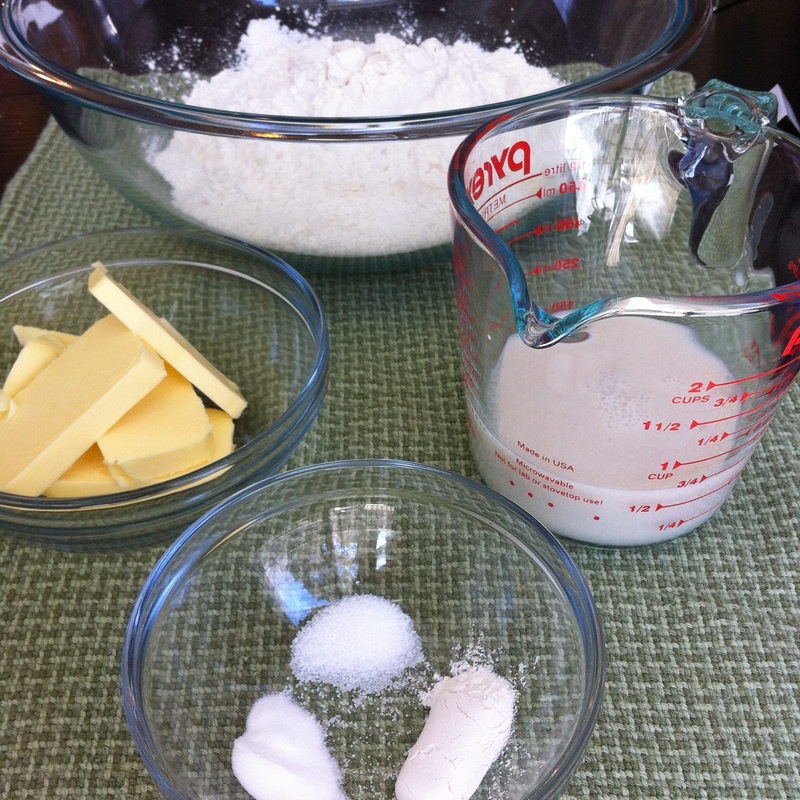 Cut the cold butter into the dry ingredients until the butter pieces are smaller than peas. 2. Stir in the milk to make a firm dough. You may need up to 1 1/4 cups to make the dough come together. 3. 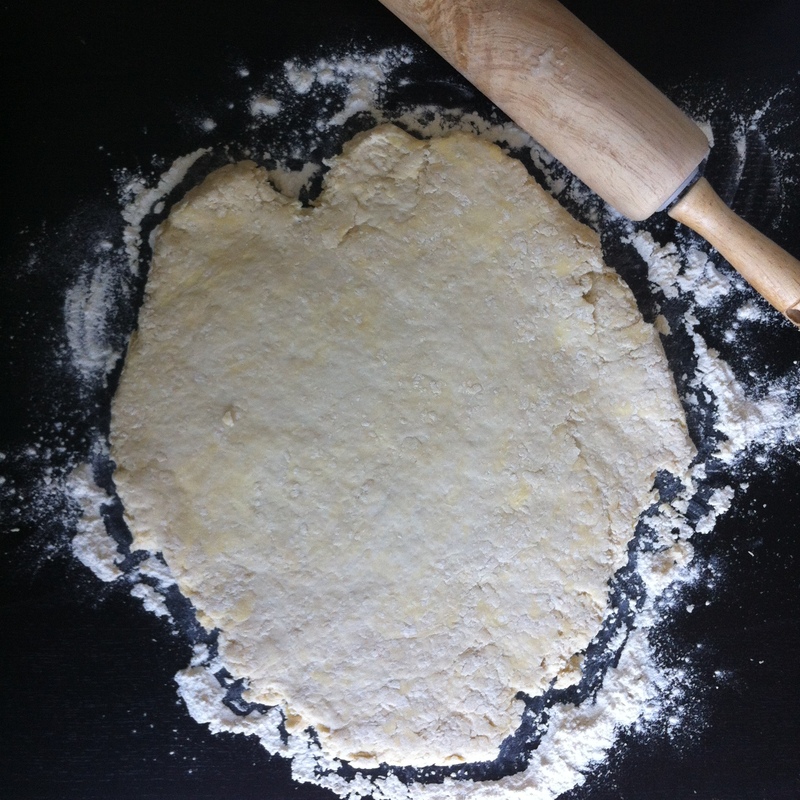 Dump the dough onto a floured surface and roll it out to about 1/2 inch thick. 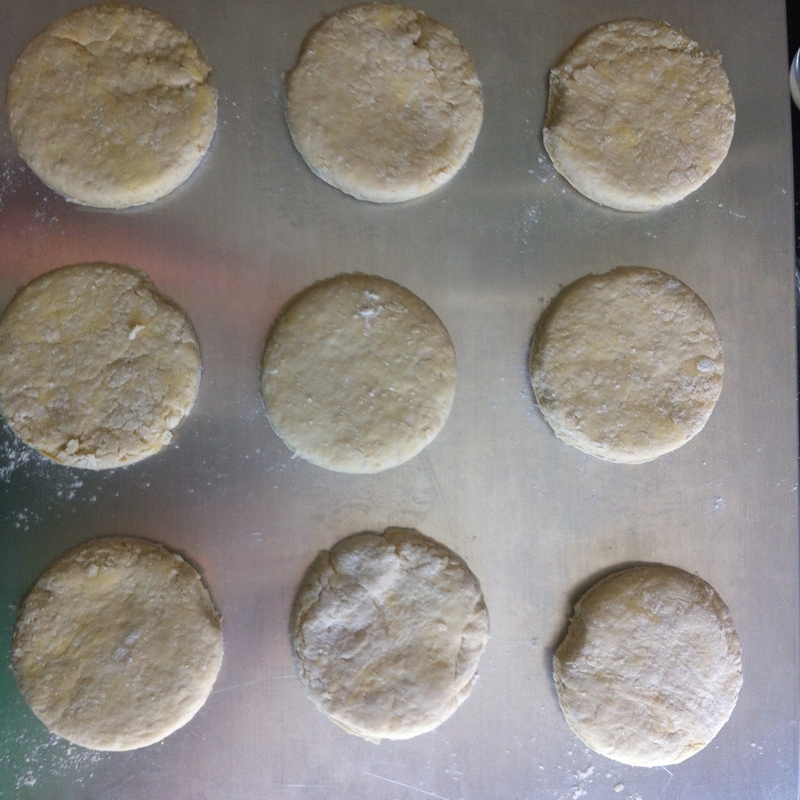 Cut with a cookie cutter or a drinking glass to get about 2 inch round scones. 4. Bake in the oven for 10-12 minutes, depending on the size of your scones. Mine were larger than 2 inches, so they took 12 minutes. 5. Serve with butter, your favorite jam, and a cup of tea. Happy St. Patrick’s Day! Make good choices. Thank you Jessamine! I really enjoyed digging out some of those memories from my year in Northern Ireland. It had a huge impact on me, my life course, and my outlook on life. Good luck with the scones! Please stop back and let me know how they turn out for you!